Check out all of the options available to you with our Amish Boston Bed with Wings. 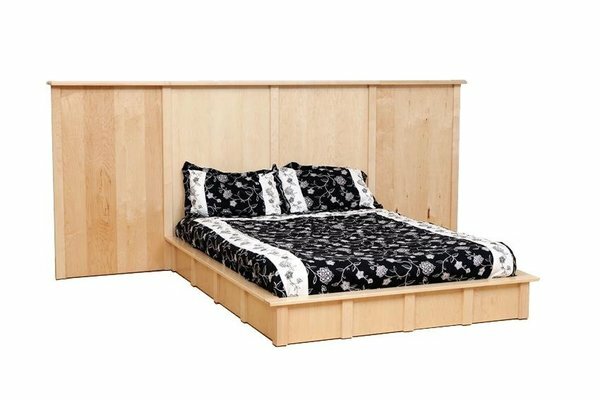 Handmade in your choice of a full, queen, or king size, you are sure to find "the one" for your bedroom suite! There's a wide variety of wood species and finish colors for you to choose from ensuring that you get a perfect match for the rest of your bedroom decor. Authentic Amish craftsmanship and solid wood combine to bring you a bed that is durable and built to last a lifetime. Get your new Amish bed today and enjoy endless nights of sound sleep.